When you think of moving to Winchester, picture yourself in a home with room for everyone, where entertaining or just day-to-day living is almost effortless. Think of big backyards for playing, gardening, or relaxing at the end of the day. Envision picturesque strolls through tree-lined streets, past venerable, older homes to our Victorian downtown. With our latest listing at 7 Rangeley Road, fantasy becomes reality. “Rangeley Park” as it was originally named, was a “romantically planned” residential park developed in 1875 by wealthy Boston lumber dealer, David Nelson Skillings. The park was “widely praised as a model to be imitated, not only in Boston but nationally as well.” Rangeley Park was known for its winding roads and open spaces and because of its central location within Winchester, it served the town as a public park and a residential community. Today, the Rangeley neighborhood, just 2/10 mile from Winchester Center, retains much of its original character - winding roads, beautiful historic homes, and lovely landscapes at every turn. This unique neighborhood continues to provide its residents with a suburban “park” feel, amidst a center-of-town location. Stroll down to Winchester’s coffee shops and browse the weekend farmer’s market on the Town Common. Meet friends for dinner at one of our many quaint downtown restaurants. Catch the train, where Boston is just an easy, 12-minute ride away. This sunny, 1936 colonial has seamlessly joined the best of the old with the new - hardwood floors and classic molding meet central AC, and a true cook's kitchen. Relax by the fire in the formal living room. Enjoy outdoor dining on the private back patio. Play games in the fenced yard shaded by trees. Entertain your guests in the open concept, gourmet kitchen. Keep life organized in the tiled mudroom and attached 2-car garage. There's space for everyone with four bedrooms, a sky-lit family room, and a finished lower level perfect for video games, home gym, or guests. This amazing home has so much to offer, inside and out. Don't take our word for it, VIRTUALLY TOUR 7 Rangeley Road before you join us for the open house on Sunday, June 5th from 12:00 - 2:00! Move right in and enjoy Winchester just outside your door! Midnight Madness at The Shanahan Group! Midnight Madness comes to BHGRE The Shanahan Group! Come support small, local business and stop by to see us at 41 Thompson Street! Thank you to Dara Singleton for organizing our Midnight Madness effort! It's that time of year again at Better Homes and Gardens The Shanahan Group! Plans are being finalized now for the 5th annual Kids Turkey Trot. It's amazing that it's been five years and we couldn't be happier to organize this great event for such an amazing cause. Five summers ago, Nan and I were watching my sons taking a tennis lesson (thanks, WinRec!) and talking about fall plans for the office. We knew we wanted to host an event but not sure what or when. We got talking about having a fun run on Thanksgiving, like other towns have annually. Nan suggested we start one here. Well, after a little research, we quickly realized that might be too big a task to take on for the fall. So we scaled down a bit and kept it for the kids- particularly the little ones. Through our connections to FAN (I was the current membership chair and Paula Sughrue had previously filled that role), we had the perfect audience. Our colleague Lulu Coakley has been a huge supporter of the Bridget Brigade and we knew that they would be a perfect cause for our event. And so it was born! I remember standing there after the first Trot was finished and being amazed at our turnout (we really thought it might be the Sughrue, Garrett and Coakley kids that first year!). Even at the 2013 TT, when our pens stopped working and all of our balloons popped with the frigid temps, we had a huge crowd! We are honored to host the event again this year and always share lots of giggles and fun along the way. Thank you again to all of our partners and sponsors for helping us make the Turkey Trot come alive every year. On a day when we stop to give thanks for our blessings, we are happy to start the morning with our friends and neighbors, supporting a cause that helps families care for their sick children. Online registration is now open and... this year our Turkey is now on Twitter and Instagram #TurkeyTrot2015! Follow us to see how things come together and for race day pictures. Hope to see you this Thanksgiving! Low Housing Inventory Means a Great Time to Sell in Winchester! It's a great time to sell! 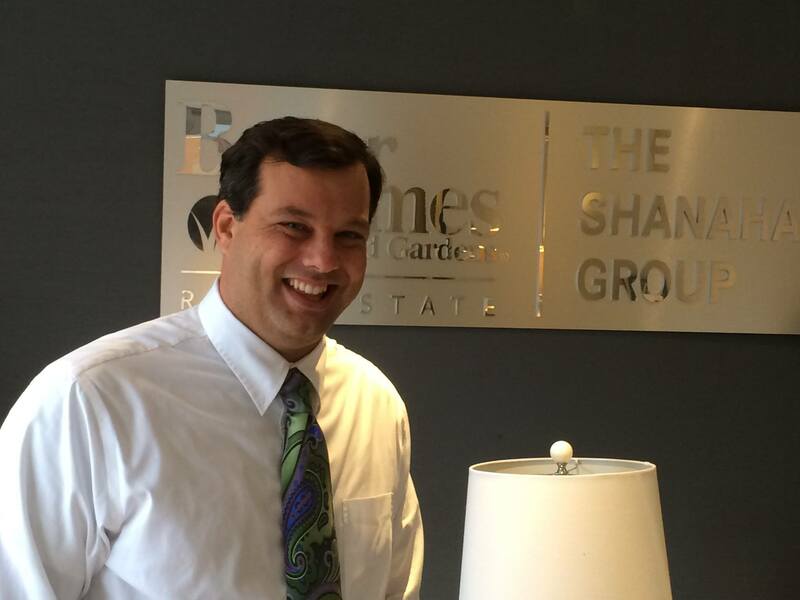 Better Homes and Gardens The Shanahan Group's Nic Gatto explains why. The Winchester real estate market had a very good year in 2014 with average home values rising 6.3% from their 2013 levels, according to Zillow.com. Interest rates remain at record lows, with the average rate for a 30-year fixed rate mortgage currently at 3.86%. Qualified buyers are currently waiting on the sidelines to swoop in and purchase, even over-pay for homes. Winchester’s top rated school system, along with its close proximity and easy commuter rail access to Boston, has potential buyers lining up. Right now only twelve of twenty-eight total properties for sale in Winchester are priced under $1Million. You don’t have to be Alan Greenspan to understand the principals of supply and demand, it is a very simple concept. When there are only a few homes for sale and many qualified buyers, prices will inevitably rise. This places homeowners in a great position to sell their homes for the most money possible. Historically, sellers have placed their properties on the market at the start of spring, as that is the time of year buyers begin looking for new homes. Low inventory has thrown conventional thinking out the window. The laws of supply and demand dictate that getting your home on the market now is your best bet to get top dollar. In the past six months, sixty-seven properties have sold under 1 million dollars in Winchester, over 46% of them sold over asking price - and over 67% had an accepted offer that resulted in a sale in less than 30 days! If you have been considering selling your home, don’t hesitate. Now may be the best time in years to get top dollar for your home. According to a recent report on WCVB.com, 2015 will be the biggest year in home sales in ten years. They state many reasons - from continuing low interest rates to pent up buyer demand, and the strength of the overall economy. Another factor indicated is that home owners’ equity has increased nearly 20% in Massachusetts and New Hampshire since 2011. This provides a lot of flexibility to home owners. The Redfin Research Center in late December 2014 stated that the percentage of buyers who feel now is a good time to purchase a home, is up 6% from only this past summer. Furthermore, those buyers surveyed identified some of the top home characteristics they are looking for. The top two being-36% chose short commutes and close proximity to amenities (such as coffee shops), and 21.2% stated a highly rated school district as most crucial to their move. Winchester offers buyers both of these characteristics, therefore illustrating why Winchester is such a hot market. 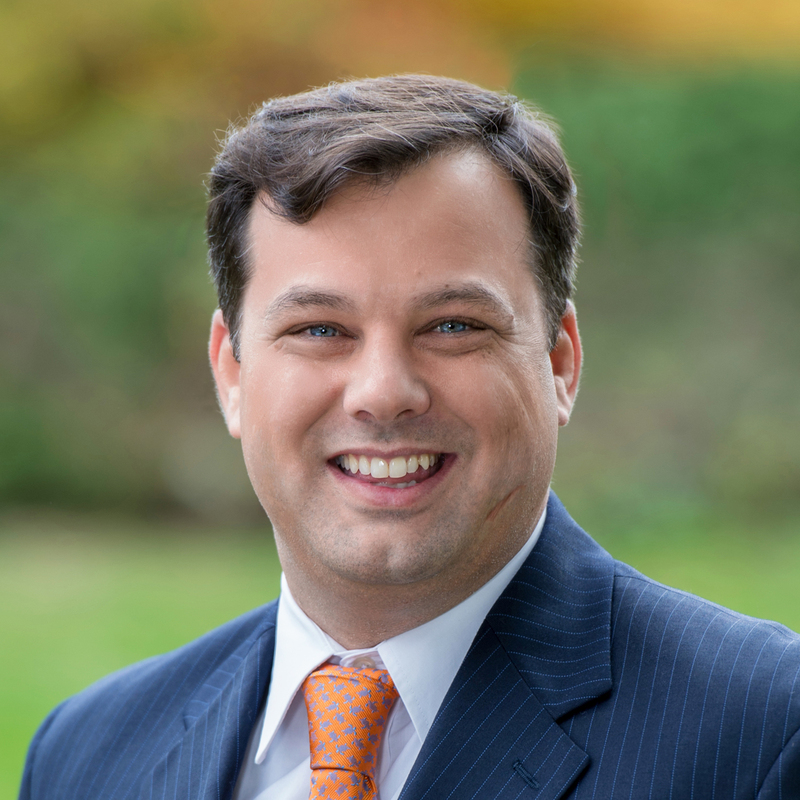 My family has been in the real estate business since the 1940’s in the greater Boston area. I represent the third generation of real estate experts helping people buy and sell real estate. I am well-acquainted with Winchester. I grew up in town, and currently live here with my wife and our three children. As in most professions, teamwork is essential in providing the best service, which is why you should choose Better Homes and Gardens Real Estate The Shanahan Group. We bring the highest level of professionalism and service to our clients. 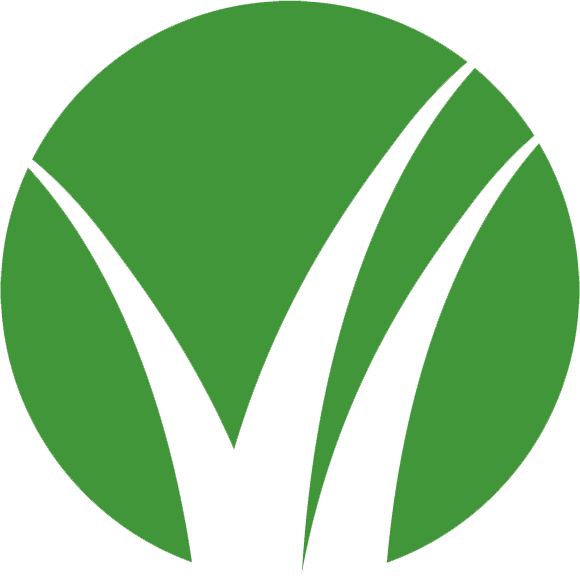 We have helped people buy and sell property in Winchester with a collected value over $47 Million in 2014. Call or email me today to get your home in the “just sold” category for 2015. On your mark, get set, go! The 2014 Turkey Trot is tomorrow!! The weather is going to clear up and we are ready for an awesome morning to benefit a great cause. The kids run a quick dash (the length of Lincoln School field), get medals and munchkins and just have fun for an hour before the holiday kicks off. All to benefit a great local charity! Registration is at the event and begins at 8AM. Better Homes and Gardens Real Estate The Shanahan Group and FAN are proud to announce The 4th Annual Turkey Trot for Kids! On Thanksgiving morning get bundled up in your hats and mittens to support a great cause. The Turkey Trot is back and better than ever! Children ages 3-9 are invited to the race to raise money for The Bridget Brigade. Coffee and cocoa will be served to help warm your bones and your spirt as we watch the little ones race, and rest assured everyone goes home a winner. Registration is only $5 per racer, and what a wonderful way to start Thanksgiving. A great opportunity to teach our little ones about supporting charities, and a small way to show how thankful we are for our healthy rambunctious children. For pre-registration visit http://www.shanahanre.com/ or in person at The Shanahan Group offices at 41 Thompson St in Winchester Center. Registration is also available at the event, beginning at 8 AM Thanksgiving morning. New this year! We will also be collecting new, unwrapped toys for The Bridget Brigade Toy Drive! Buyer's Agent? Why do I need one? And is it a good time to buy? Better Homes and Gardens Real Estate The Shanahan Group presents this post from our own Nic Gatto. Buyer agency is a topic we talk about all the time at the office and Nic does a great job summarizing. Thanks, Nic! I speak with many people every day looking to purchase real estate, and I'm always surprised when they say "I don't need a Buyer's agent." Now, I understand that most people view Buyer's agents as basically keys with arms and legs. Merely the gatekeeper to view a property assuming that is about all they are good for, but a Buyer's agent is your advocate in the buying process! The Seller has hired a real estate professional to list and market their property. The listing agent has spent a lot of time researching the property understanding the area, and all of the features that make up the property. They have signed a contract with the owner of the property, and have many fiduciary responsibilities to them. They work to get the owner every penny that they can for said property. As a Buyer you want a real estate professional on your side. Someone who is also familiar with the property, understands the process of negotiating and crafting an offer that protects your interests. A Buyer's agent has fiduciary responsibility to you the Buyer. The agent owes the buyer undivided loyalty, reasonable care, disclosure, obedience to lawful instruction, confidentiality, and accountability. The agent must put the buyer's interest first and negotiate for the best price and terms for their client, the buyer. Upon signing a Listing Contract an owner of a property agrees to pay a percentage of the sale price to the listing agent, and when they sign the contract they also agree to compensate the Buyer's agent. For example a Seller would agree to pay a 5% commission on the sale price, with 2.5% going to the listing agent, and 2.5% going to the buyer's agent. As a Buyer you can contact the listing agent without a Buyer's agent, in most cases this does not alter the contract, and will typically put you in what Massachusetts calls "Dual Agent" where the listing agent represents both the Buyer and the Seller, and is supposed to remain neutral in the transaction. Dual agency is like going to court and hiring the prosecutor to also act as you defense attorney. At Better Homes and Gardens Real Estate, The Shanahan Group, where I am an agent, we do not practice Dual Agency where one agent is representing both the buyer and the seller. If a potential buyer approaches the listing agent, they will match them up with another agent in our office to represent them in a possible transaction. The idea is to make sure everyone has a qualified professional fighting to protect their interests in any transaction. If you are going to purchase real estate, make sure you find the right Buyer's agent for you. Don't settle for a real estate agent who only unlocks the door and asks you what you think. Find an agent that does their homework, and has the right connections to real estate attorneys, mortgage brokers, home inspectors, and other professionals you may need along the way. Now, is it a good time to buy? When considering if it is a good time to purchase real estate, it's important to think about many factors. 1. Are home values increasing, or decreasing in the communities I am considering a purchase? Here is a chart of communities, the median home value and the percentage they have increased in the past year. 2. How is the overall economy? How has an indicator such as The Dow Jones Industrial Average been performing? The stock market is at an all-time high. 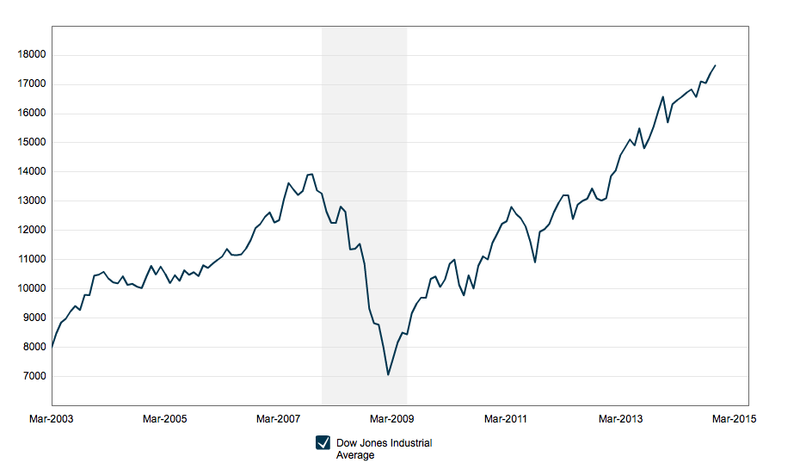 Below is a chart showing the last 10 years of the Dow Jones Industrial average. 3. What kind of interest rates should I expect to get on a mortgage? Interest rates are still low. Below are Bank of America's rates on 11/3/2014 for Massachusetts. 4. How competitive is the market? 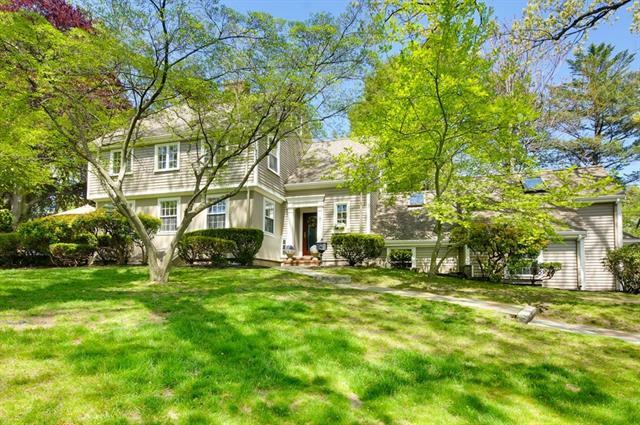 The time of year favors buyers. According to the National Association of Realtors one time to find a good deal is between Thanksgiving and New Year's Day, when other home buyers may be put off by the inclement weather and busy with the holidays. Generally, home prices are also at a 12-month low in December and the owner of a house on the market in the lead up to Christmas may be willing to negotiate on the price. If you are able- buy now, you have a good chance of finding a home that you like for less than it would cost you another time of year. Additionally, during this period of low demand, mortgage lenders are sometimes willing to forego some of their fees in order to win customers, so you may be able to pick up a good deal on your mortgage. In conclusion- home values are rising, the stock market is at an all-time high, and interest rates are still low. Right now, all is aligned for the best deal. Call or email me today and let me work as your Buyer's agent in finding you the best property specifically tailored for you! This week was a busy one at Better Homes and Gardens The Shanahan Group. 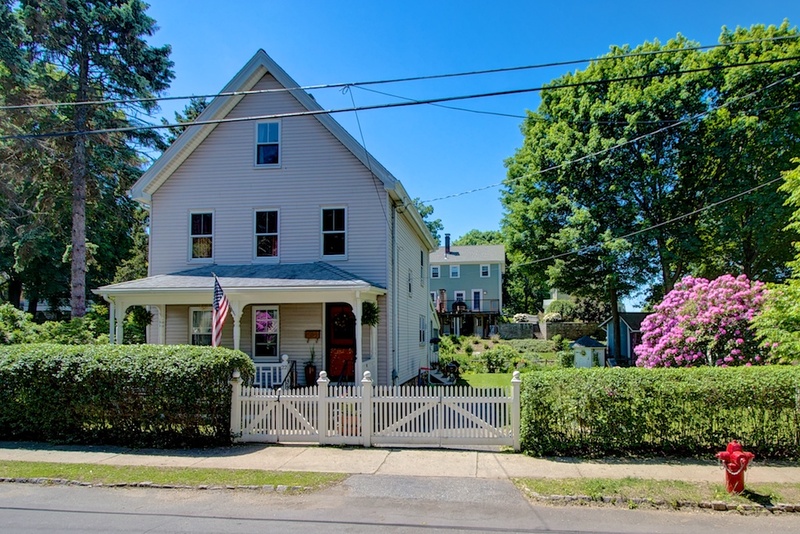 One of the highlights was listing a lovely colonial at 22 Nelson Street in Winchester. It's a home with character and love that you can feel and a history that has been passed down through families and time. We asked its current owners for a glimpse into 22 Nelson Street and what makes this place so special. 22 Nelson Street was built in 1897 for the parents of Virginia Foreman. It was wallpapered in July of 1898 by Gene B. Farrowwe know this because he signed the west wall of the living room in pencil, and Gene B. Farrow writes big. The house was re-papered in the 1960s (more signatures in pencil), and painted in 2008 by the Olenn family, who also added their names to the houses history. 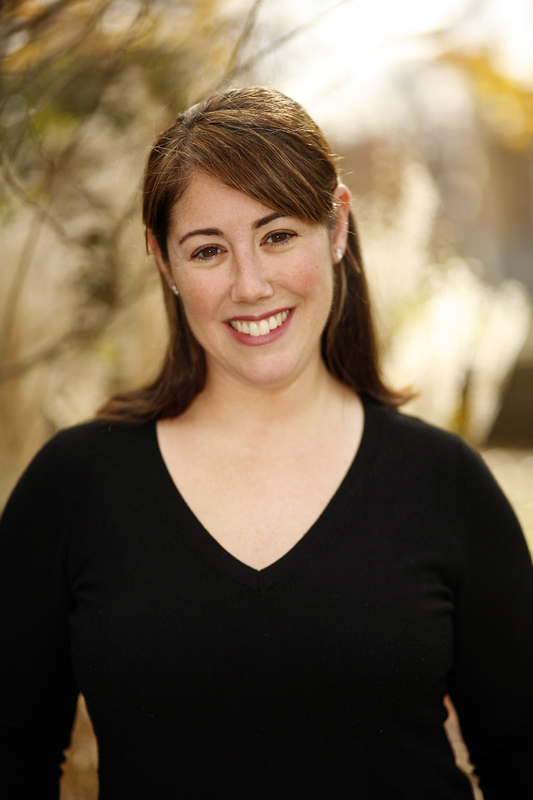 Virginia Foremangrew up in the house, and did laps around the basement on her bike. We know this because our friend Chriss mom grew up just around the corner and rode her tricycle with Virginia. In the strange cabinet under the basement stairs is a certificate of musical accomplishment from Virginias early years, though we dont know what form that accomplishment took. In time Virginia married Lawrence Hutchings, aka Hutch, and the newlyweds moved into this house to take care of Virginias ailing mother. Lawrence spent his career working at Hanscom Air Force base, which we know from his silver retirement bowl. Hutch was known and loved by many in the neighborhood, often inviting people over for a cocktail on the porch, and was one of the founders of the Jenks senior center. Hutch and Virginia had their own children here, a son and a daughter. The son, Bruce, followed in his fathers footsteps and became a pilot and lives in New Hampshire. The daughter has a son of her own and lives in Hopkinton, though weve forgotten her name. All this means that we were only the second family to live in this historic home, and now you are the third. It is a good home, and the spirit of Hutch seems to linger at opportune times, when doing a home improvement project and finding that a much-needed obscure jar of God-knows-what just happens to be at hand, left behind by the old man. Be good to this place, and it will be good to you. 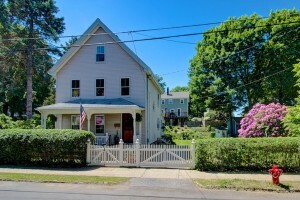 Come see 22 Nelson St at tomorrow's open house, Sunday June 8th. Karen Shanahan Garrett will be there from 11:30-1:00. There has been a lot written and said about choosing the right Realtor. Whether you're buying or selling it's vitally important that your REALTOR is someone with whom you can work effectively. Intelligence, ethics, strong communication and negotiation skills, and local knowledge are just a few traits to look for when getting to know your REALTOR. At a conference a while back, a speaker was discussing ours is one of the few professions where potential clients decide to work with us based on whether or not we're someone they'd like to hang around with. That got us thinking; we're pretty great! We're intelligent, funny, strategic, self-effacing, and knowledgeable. We are good listeners and strong speakers. Above all we advocate, advocate, advocate. We actually do have lives away from Real Estate that shape our opinions and guide our advocacy. We champion causes and belong to the PTO. We're wives, husbands, sons, daughters, and parents. We thought it would be helpful for you to get to know us. And maybe hang around with us? This week, we're launching Getting to Know Your Realtor, a chance for members of our team to stand up and blog a little about ourselves and our lives in and out of Real Estate. 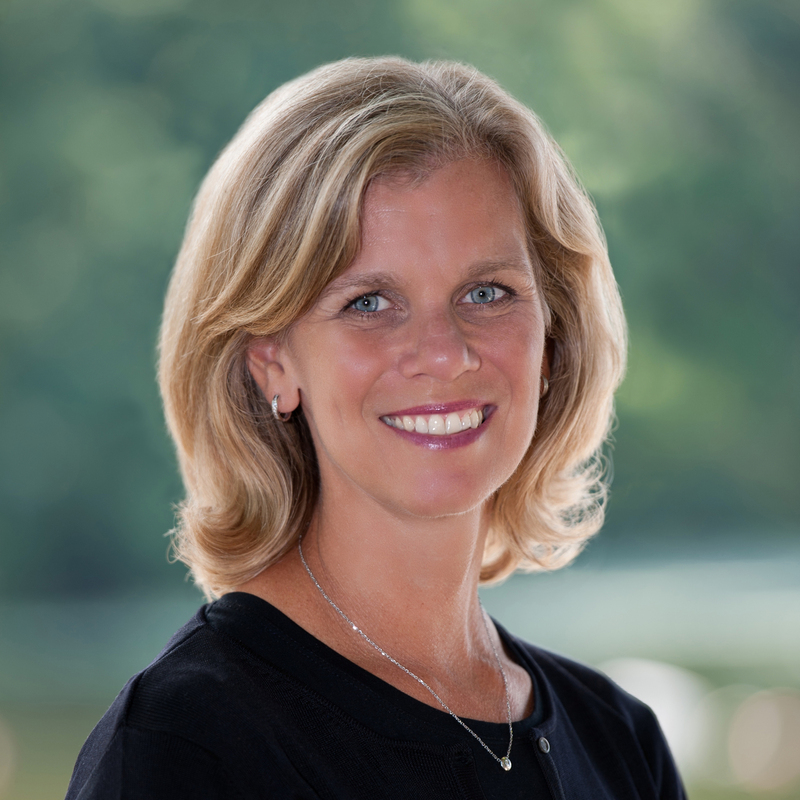 Today, we'd like you to meet Jacqui Curtin. Thank you toBH&G The Shanahan Group's, Jacqui Curtin for contributing to this week's blog. Its the middle of January and the holidays are over! Whether its de-cluttering, organizing or just freshening up paint, theres no better time to re-think your homes interior. OUTBOX You can start by creating an outbox. Find a place in your home thats easily accessible to collect items that you dont need, things to donate, or just throw away. 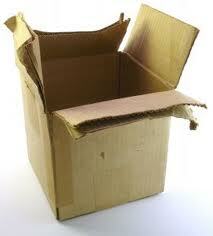 By having an outbox you have an ongoing project at your fingertips. By the end of the month youll be amazed at how much stuff youve eliminated from your everyday household! 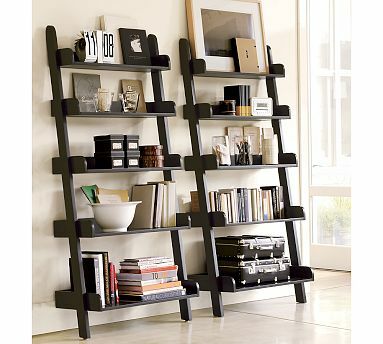 SHELVES Another idea for revamping your homes interior is to de-clutter by using vertical wall space. By creating new shelving space for storage, you can take your everyday stuff off the floor or furniture and give it a permanent home. Youd be amazed at how much wall space is ignored and what a difference in makes in giving your home a more simple, organized look. PAINT Refresh your home space with new paint colors. 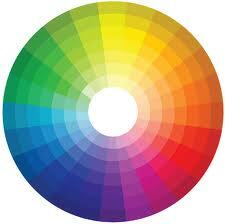 Remember the two paint families; warm colors (red, orange, yellow) and cool colors (blue, green, purple). Try and stay within one family of color for each floor of living. Warm colors are generally better in more social, active areas of the home, while cool colors are best for more calming areas such as a bedroom or study. A few simple ideas that can really make your home a BETTER place to live in 2013! House Hunters: The Winchester episode airs this week! Roll out the red carpet! Shanahan Real Estate Group is going Hollywood this week! 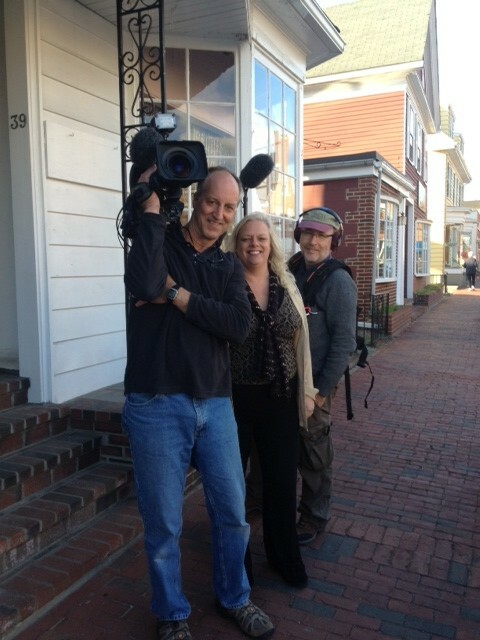 House Hunters comes to Winchester this Friday! 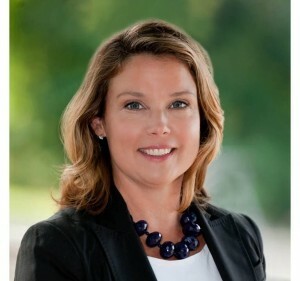 On Friday night, HGTV's House Hunters is airing an episode about a couple looking for a home in Winchester, with Karen Garrett appearing as their real estate agent. The show follows the couple around as they look at three different houses. At the end of the episode, the buyers decide on the house that they will purchase. 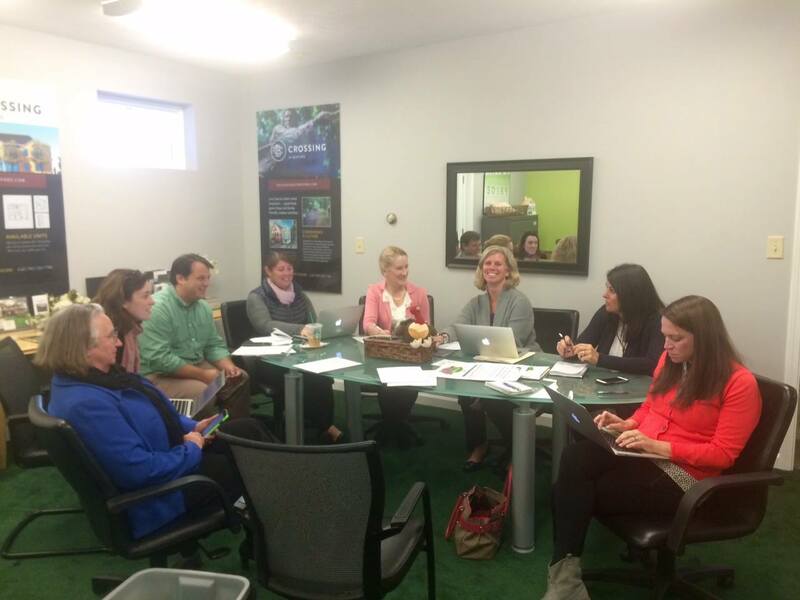 This spring, the production team came to town and filmed the episode with the buyers and Karen. It was a really fascinating process of producing the show and something totally new to Karen and the buyers. There is a really critical level of detail from scrutinizing the objects in the background to ensuring that background noise is consistent and not disruptive. In fact, each scene is filmed three different times to ensure that the producers get the right angle and focus. Imagine trying to film a scene in downtown Winchester on a weekday afternoon at 5pm: the evening train, cars going down Thompson St, airplanes overhead and even a mail bin being pushed down the brick sidewalk- all of these things slow down the filming process! 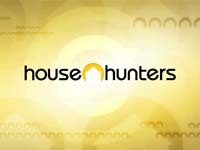 It has been such a fun process and very exciting to be part of House Hunters. We haven't seen the final episode, so we are very much looking forward to seeing the finished product (Karen is a little anxious!). Look for more House Hunters fun this week on our site and on Facebook, and be sure to tune in on Friday night at 10PM on HGTV. The awesome film crew for House Hunters. We finished shooting on this day at our Shanahan Real Estate Group office on Thompson St in Winchester.